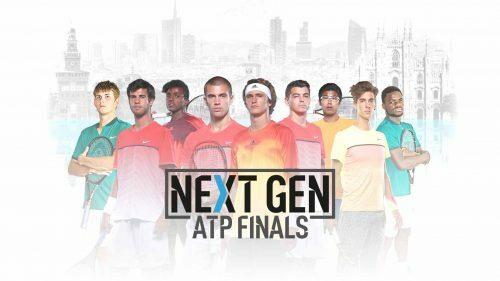 Watch highlights as Hyeon Chung and Andrey Rublev advance to the final of the inaugural Next Gen ATP Finals in Milan. 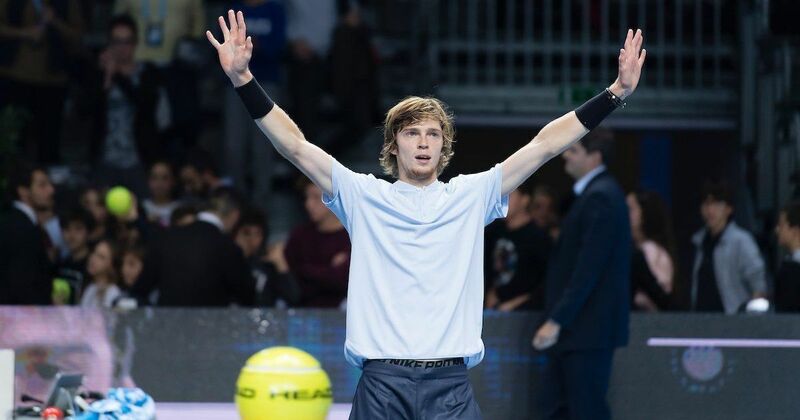 Watch highlights as Andrey Rublev beats Borna Coric to reach the title match of the Next Gen ATP Finals in Milan. Andrey Rublev is stretched wide as he pulls off a low backhand volley Hot Shot against Denis Shapovalov at the Next Gen ATP Finals in Milan. Watch highlights as Andrey Rublev battles past Denis Shapovalov to book a semi-final berth at the Next Gen ATP Finals in Milan. Andrey Rublev crushed a demoralized Borna Coric to reach the final of the Next Gen ATP Finals on Friday. Watch Hyeon Chung scramble to hit a tremendous forehand passing shot for a winner against top-seeded Andrey Rublev at the Next Gen ATP Finals. Watch highlights as Hyeon Chung defeats Andrey Rublev to become the first player to qualify for the semi-finals at the Next Gen ATP Finals. Photo Credit: Getty Images. Gianluigi Quinzi displays excellent feel at the net during his match against Andrey Rublev on Tuesday at the Next Gen ATP Finals. Andrey Rublev invites ATP World Tour Uncovered presented by Peugeot to meet his family in Moscow and take a trip down memory lane. Andrey Rublev turns defence into offense before finishing off this exciting rally at the net in a first-round match against Dominic Thiem at the Erste Bank Open 500 in Vienna. Andrey Rublev has become the second player to qualify for the Next Gen ATP Finals, to be held in Milan from 7-11 November. Andrey Rublev is happy with the fight he showed as he discusses his comeback win over Tomas Berdych in the Beijing second round. 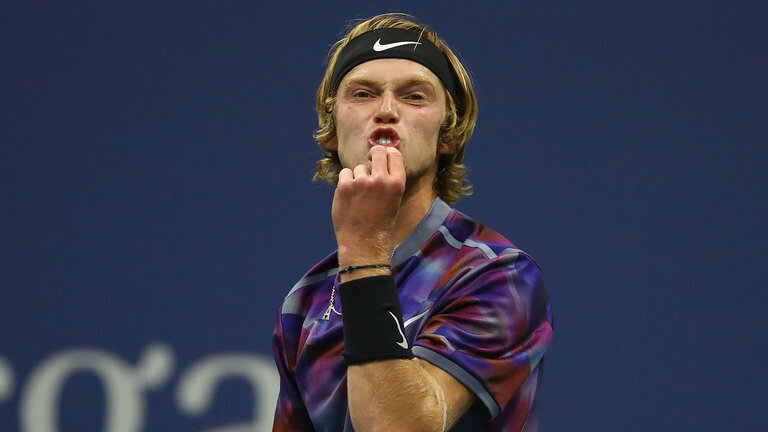 Andrey Rublev recovered from a set and a break down to storm past former winner Tomas Berdych and into the China Open quarter-finals on Thursday. 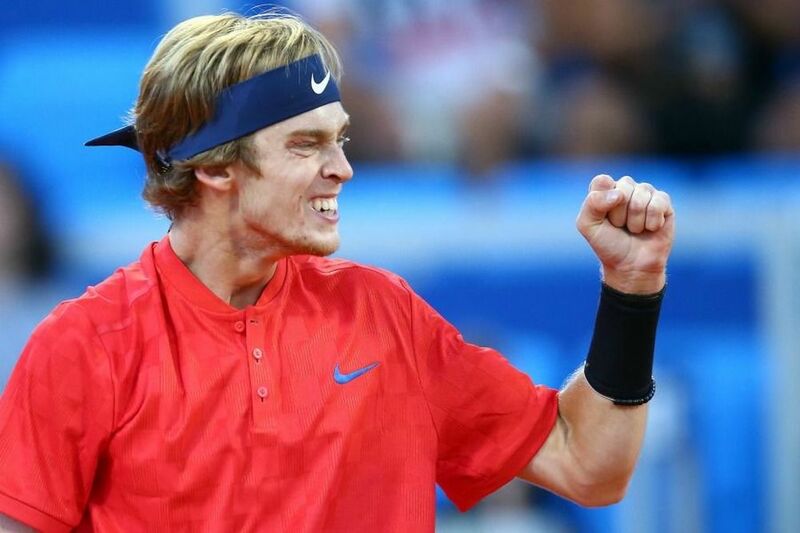 Rublev will now face the second seed, Alexander Zverev, who defeated veteran Fabio Fognini. ATP World Tour Uncovered presented by Peugeot profiles NextGenATP Russian Andrey Rublev, who has made a star turn at the US Open and believes everything is possible. Q. Obviously a difficult loss, but if you can talk about the opportunity to be out there with Rafa, somebody you have spoken about and who you greatly admire and what that experience was like in regards to your development as a player? ANDREY RUBLEV: You mean in general which experience I get from this match?